Reading a Pet Food Label can be a bit confusing and tricky. 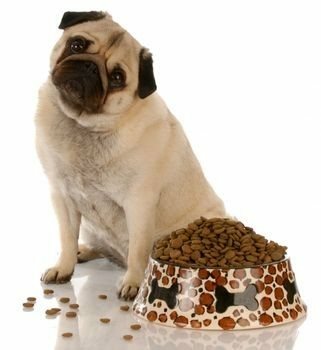 How can you be sure you are feeding your pet the healthiest and most nutritious food money can buy? 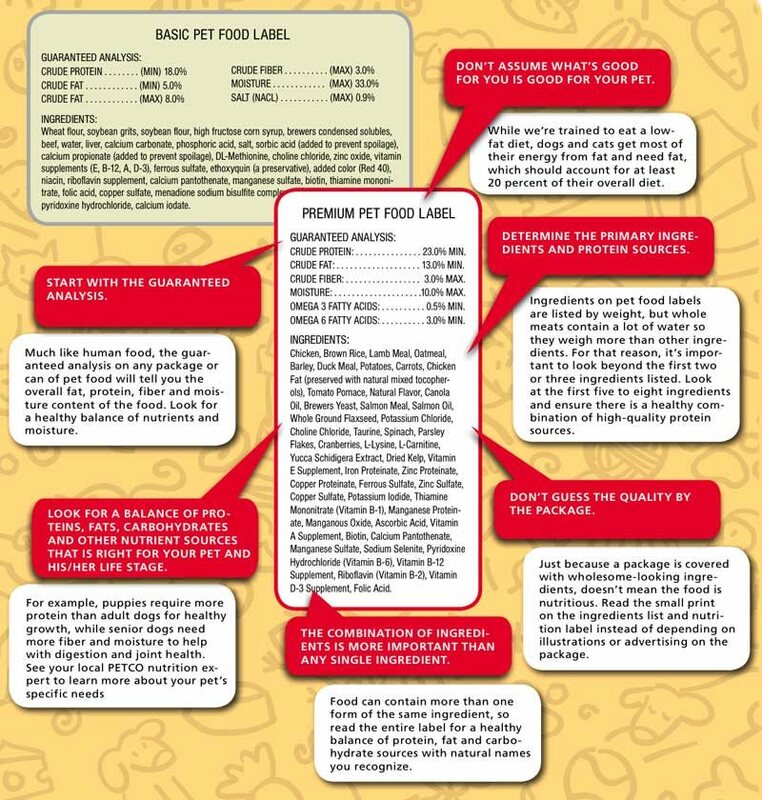 A breakdown about production and labeling regulations might be useful next time you are purchasing food for your pet. The Pet Food Industry is regulated by AAFCO ( the Association of American Feed Control Officials), the FDA/CVM (Food and Drug Administration/Center for Veterinary Medicine), the USDA (United States Department of Agriculture) and the FTC (Federal Trade Commission). The AAFCO regulations exist so that any brand of food you buy from an honest retailer should contain the vital nutrients your pet needs. The AAFCO is responsible for establishing nutritional standards for each species and lifestage. 100% Natural? The FDA has yet to define the word "Natural", and therefore cannot regulate the use of the word on product packaging. Veterinarian Recommended? The manufacturer must conduct a survey that proves a significant amount of veterinarians do recommend this product. However, "Veterinarian Developed" or "Veterinarian Formulated" only needs one veterinarian to provide proof to this claim. It is important when reading a label, to distinguish between ingredients and nutrients. Ingredients contain the nutrients that are essential for the growth and health of your pet. All ingredients are required to be listed in order of predominance of weight. It is essential that a high quality protein be listed as the first ingredient. When a meat is listed on a label it should be muscle meat like beef, chicken, turkey, lamb, or more; only the highest quality proteins. As for vegetarian diets, a combination of pea and whole brown rice will provide complementary proteins. Is the food made with meat or by-products? Chicken beaks and feet are poor sources of protein compared to muscle meat that provide your pet with the whole suite of amino acids needed. There are nine essential amino acids that a dog and cat can not make on their own, therefore, must be provided in their diet. Amino acids are the building blocks of protein and are essential to your pets health and development. BHA, BHT and ethoxyquin are all preservatives allowed in pet foods. High quality dog and cat foods do not contain any of these preservatives to maintain their freshness because these canned foods are cooked right in the can. As for dry foods go for natural preservatives like Vitamin E (mixed tocopherols) are added to keep these foods safe and healthy. As a pet owner, you have the right to know what you are feeding your animal. The product label has a wealth of information, if one has a good understanding of how to read it. If you have a question about the product, never hesitate to contact the manufacturer.